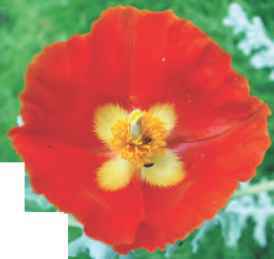 capitulum or composite flower forms a disc carrying flower parts radiating out from the centre, as if compressed from above, e.g. Inula (see Figure 7.3), daisy, chrysanthemum. 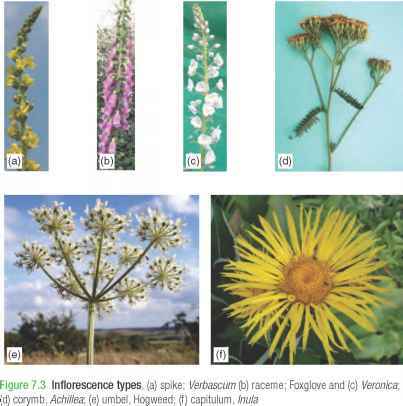 The number and arrangement of flower parts are the most important features for classification and are a primary feature in plant identification (see Chapter 4, p67). 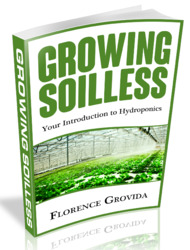 What is inflorescence in horticulture?